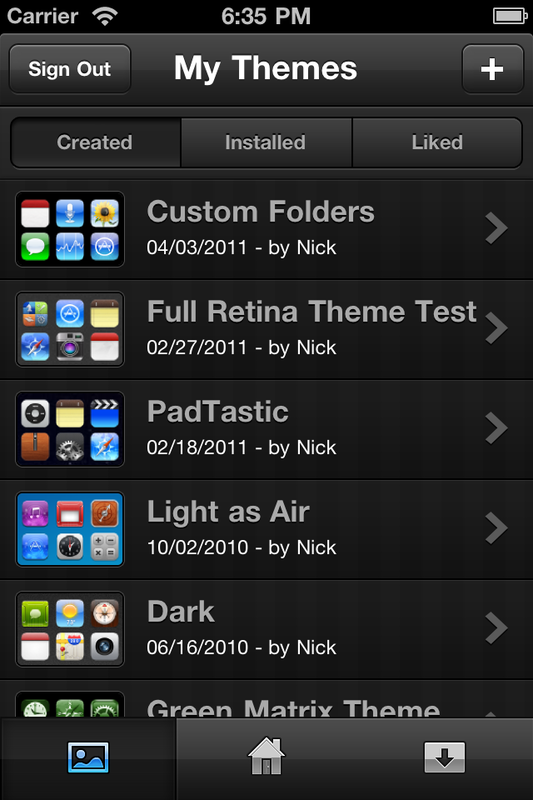 Version 1.2 of our CodeThemed iPhone and iPod touch application is now available in Cydia. This update fixes crashing on launch on some devices and firmwares, and Error Code issues when transferring or downloading themes. Sorry for the delay! If you are to encounter any other issues, please let us know. 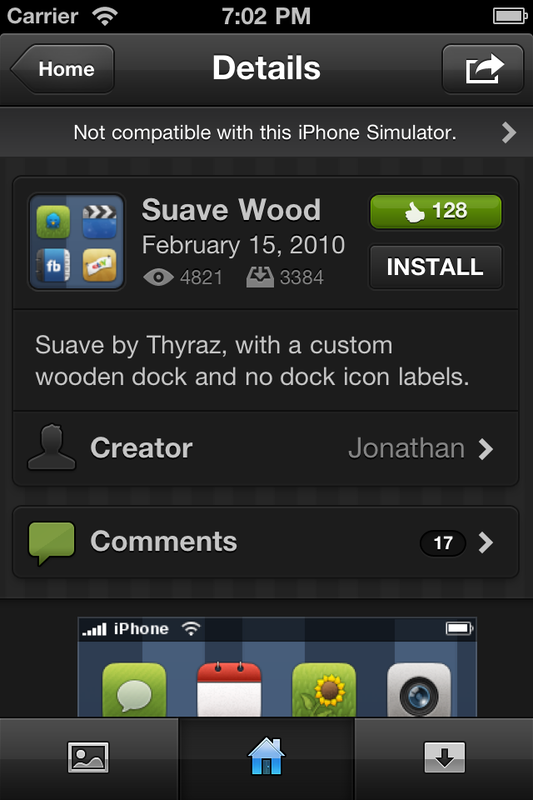 Recently, we have gotten reports of the Browse tab crashing on iOS4, and have been busy fixing the issue. We're very happy to finally announce an awaited update which packs in more than just a few bug fixes. Improved security. We spent a lot of time on this one, and the way the application connects to CodeThemed now is much more safe. 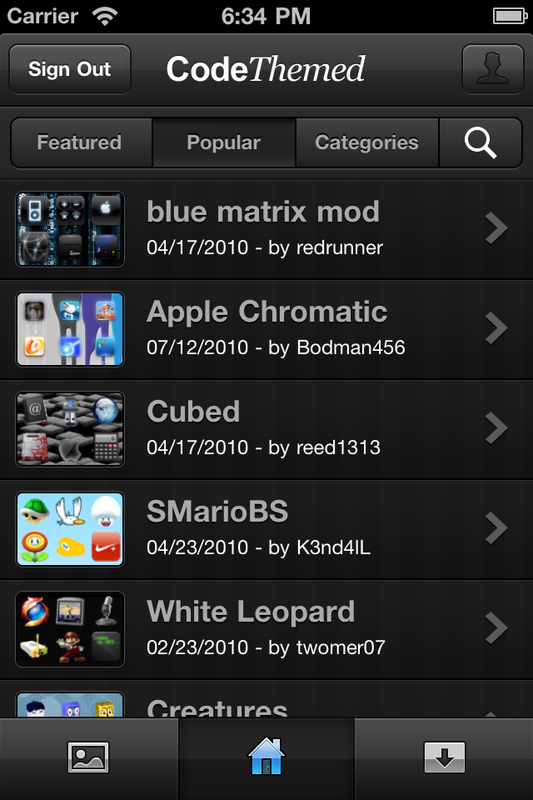 Adds support for deletion of on-device themes. This was also a highly requested feature. Device syncing. 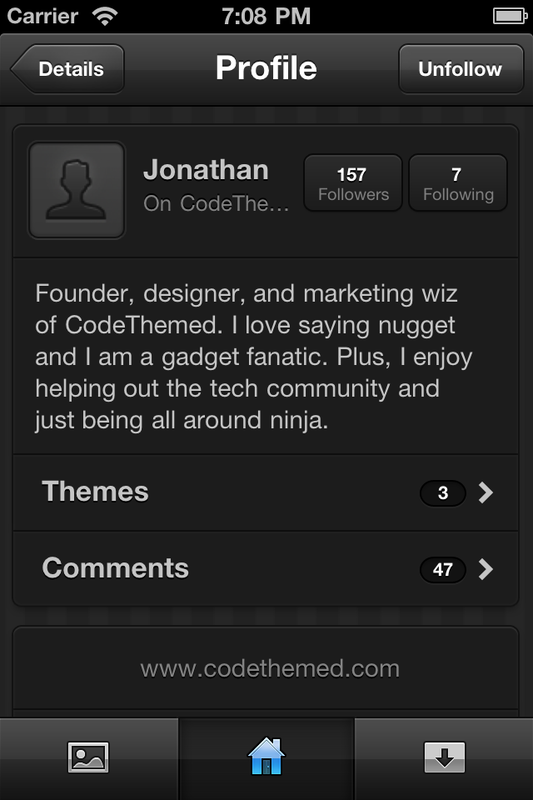 Whenever you sign into CodeThemed through our app, your device is synced back to your account on the site. When our Transfer system maintenance is complete, you'll be able to choose which device of yours to wirelessly transfer a theme to. Synced devices can be managed through the My Devices page, and if you're on the site, you'll receive a push notification when a device is connected or disconnected. Our CodeThemed application is now available! We've finally gotten our official CodeThemed iPhone and iPod touch application submitted and it is now available on the BigBoss Repository in Cydia. Refresh your sources and either look under the Changes tab or search for CodeThemed. For those of you that don't know, our application allows you to wirelessly transfer themes you have created on the site to your device, as well as browse through themes others have made on the site and Install them in an instant. Enjoy! Give us your feedback!